INMETRO Ministerial Order no. 252 of May 27, 2015, regarding INMETRO Regulatory Guidelines establishes that the INMETRO regulatory process must be based on the adoption of measures and countermeasures designed to mitigate the effects of Brazilian social problems within its area of competence, and based on the best available scientific knowledge and national and international good regulatory practices, so as to protect consumers and promote fair competition between domestic and imported products within the domestic market, as well as promote innovation in Brazilian industry. The main foreign regulators with the aim of exchanging experiences in the regulatory field and promoting the exchange of goods and services, thus integrating Brazilian industry into global chains of production. It establishes that the regulatory process begins with a discussion of the items at hand, defining how they might be treated in a regulatory framework; if the president of INMETRO determines that the benefits of regulation outweigh the costs, viewing the issue strategically, he or she may recommend that INMETRO proceed. The decision to regulate takes into consideration, among other things, not only the costs and benefits of implementing the regulations, but also the impacts, both positive and negative, generated by the regulations, as well as their associated risks, considering both quantitative and qualitative assessments of the data and information regarding the problem being addressed. It states that INMETRO must continually monitor international best practices and trends, data and facts related to regulatory matters within its competence, both nationally and internationally, such as product recalls and consumer accidents, and the effects of regulation on stakeholders, so as to ensure the effectiveness of a regulatory measure when put in place. It also states that the problems that are subject to regulatory measures, should preferably be identified through proactive monitoring of trends, performed through systems analysis such as the INMETRO ombudsmen and the database of consumer accidents, social research, clippings of news reports and through partnerships with other regulators, especially from other countries, and monitoring systems of foreign consumer accidents, such as the Consumer Product Safety Commission (CPSC) in the United States and the European Union’s Rapid Exchange of Information (RAPEX) System. Another decision is to develop preventive actions and alternatives to regulations, considering that the market intervention should only occur in cases where action by the public sector is the best alternative to addressing the problem, since the market has no mechanisms that can solve the identified problem. A guide has been prepared by INMETRO under the Brazilian Committee on Regulation (CBR) providing guidelines and recommendations for the preparation, adoption and implementation of technical regulations, for the purpose of contributing to enhance and improve Brazilian regulatory practices. Learn more by accessing the publication, which is available in English, Portuguese, and Spanish. ABNT is responsible for the preparation of all National Standards (voluntary, consensus based). ABNT’s standardization work is carried out by its Brazilian Technical Committees (TCs) and sectorial standards bodies. All interested parties are allowed to participate in the committees in order to harmonize interests of manufactures, consumers, the government, and technical/scientific society. ABNT prepares its standards by consensus, taking into account the WTO/TBT/ Code of Good Practices in Standardization. 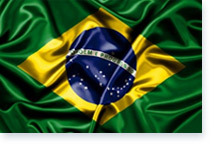 The process of preparing a Brazilian Standard begins with a request, which may be presented by any person, company, or entity involved with the subject matter to be standardized. In Brazil, technical standards are developed by the Brazilian Technical Standards Association (ABNT), a private-sector nonprofit entity created with the objective of coordinating, guiding, and supervising the process of preparing Brazil’s national technical standards. The suitability of the request is analyzed by the ABNT and, where feasible, the issue is taken to the corresponding Technical Committee for inclusion in the respective sector-specific standardization program. If there is no related Technical Committee, ABNT has the authority to create a new Technical Committee. Once the request is approved, the issue is widely discussed by the Technical Committees, with various stakeholders established in the country to reach a consensus, generating a proposed standard. The proposed standard is submitted for a national consultation by ABNT, with full disclosure, thereby giving an opportunity for all stakeholders to examine the proposed standard and issue their comments. The national consultation is conducted over the Internet and can be accessed via this link: www.abnt.org.br/consultanacional/. The list of proposed standards for national consultation is also published on Federal Official Gazette (DOU), the official publication webpage of the Brazilian government.